Meditation is an art. And mastering an art can take years of practice and dedication. However, there are ways in which we can feel the positive influence and inner balance created by meditation without being a master of it. 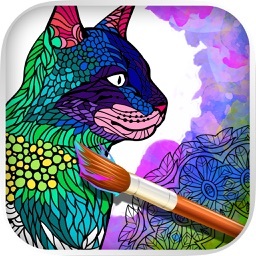 Have you ever heard about art therapy before? 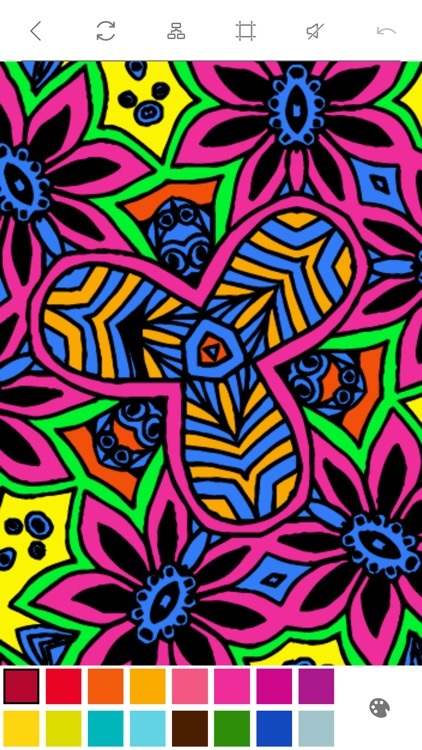 Coloring and creating art can help you manage stress and coping with anxiety. 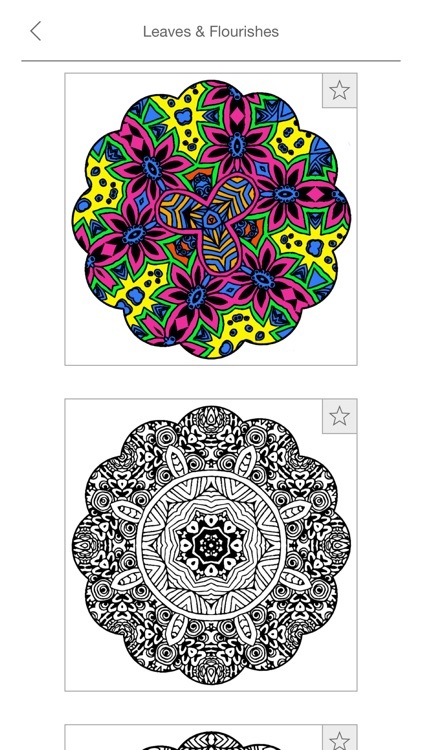 One of the ways to do this is by using mandala coloring books. 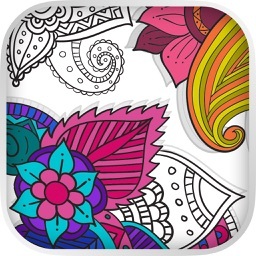 Carrying out art therapy is extremely simple: just fill in carefully the mandala design and patterns! Follow the lines, and let the stress flow out of you, and leave you, as you fill in the blanks. 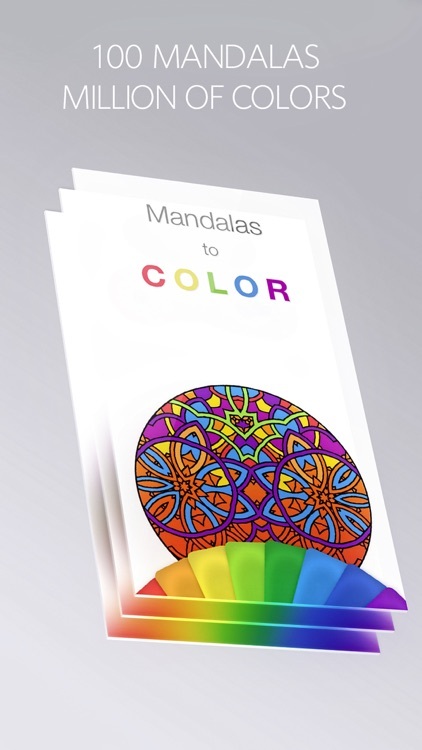 Mandalas to Color is a modern version the millennial mandala tradition. 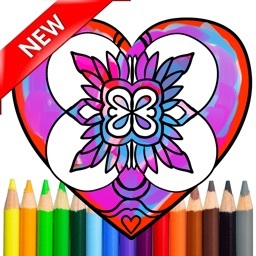 Within our app, we included a collection of 100 beautiful mandalas for you to color. 20 of these are completely free for you to enjoy! 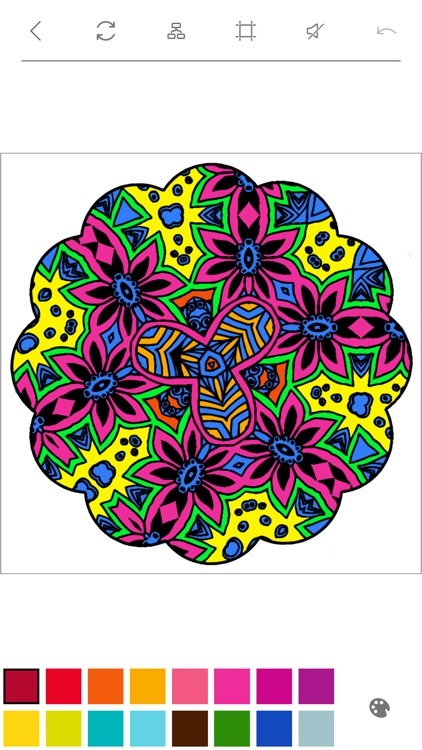 Fill in the color, and complete the most beautiful mandala of them all. 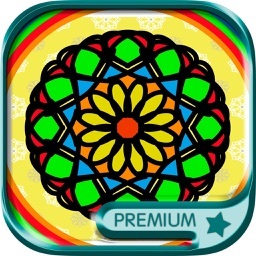 Choose between a selection of some relaxing colors for your art, and unlock new infinite colors on the premium version. Finally, find the right atmosphere to your mandala meditation by playing some relaxing music in the background. 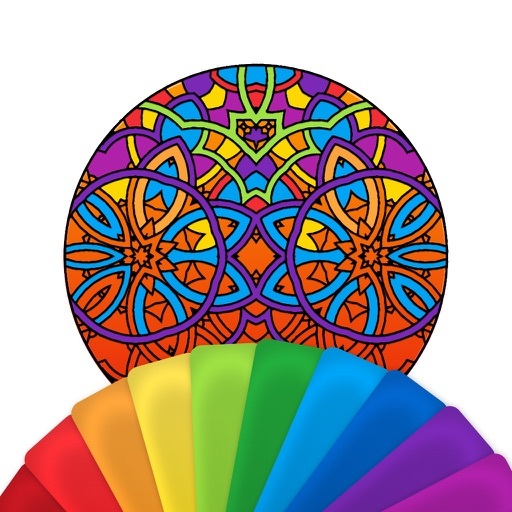 Within Mandalas to Color you can find 10 beautiful songs just for you to play while drawing, the first one of which is free for you to listen! 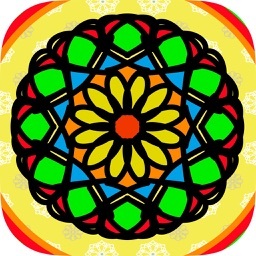 Are you in the middle of coloring a mandala, but you have to switch off your device to take care of something? Do not fear, as your work will not disappear. 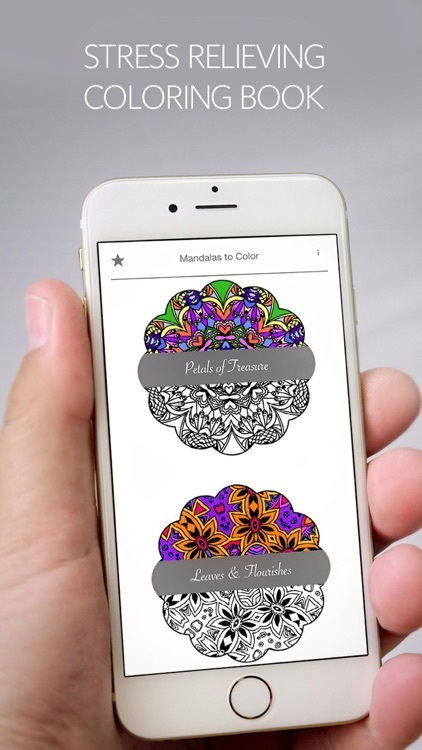 You can save your unfinished design and get back to it later, or you can save older designs and share them on your social channels. - An infinite selection of colors. - 10 beautiful stress relieving songs. - Access to every other new image and premium feature added in the future for free: no further payments and no subscriptions!